We build quality timber fences along the Frankston, Bayside & Mornington Peninsula beachside areas. 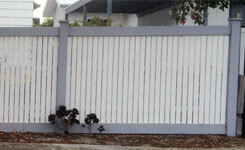 For over ten years we have been building and installing custom designed fencing across Melbourne's beachside areas. 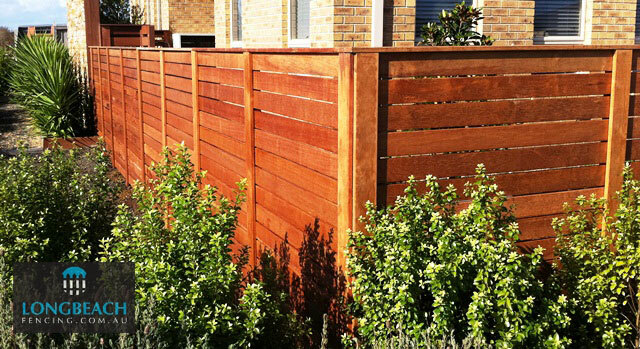 From Merbau feature fences, picket fencing, paling fences, brush panels, gates to privacy screens, we have a broad range to suit any budget. Timber fencing can give your home a natural look that blends in well with any structure, making it a versatile choice for any project around the home. 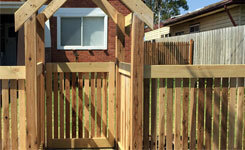 Designing a fence using treated pine, merbau, cypress pickets is a sure way to add value to your home. 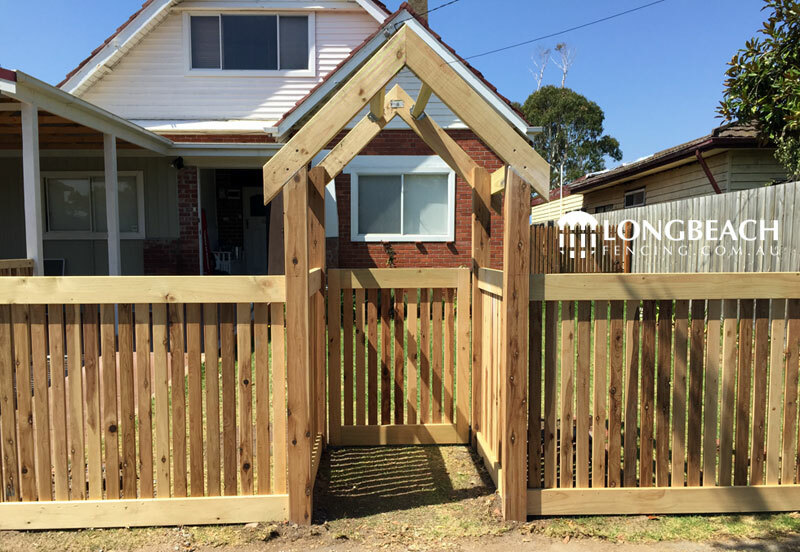 The front fence is the gateway to your home, so whether you're looking to add style to your home using merbau timber, a traditional pitched roof arbour or just wanting to impress, our range of featured fence designs will ensure your house stands out in the street. 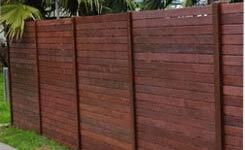 Timber paling fences are Melbourne's most popular choice when it comes to boundary dividing. Built using treated pine, they're a great option when it comes building a long lasting fence at a reduced cost. Built using long-lasting galvinized steel, we install single and double swing driveway gates, automatic electric and manual sliding gates, all with your choice of timber. 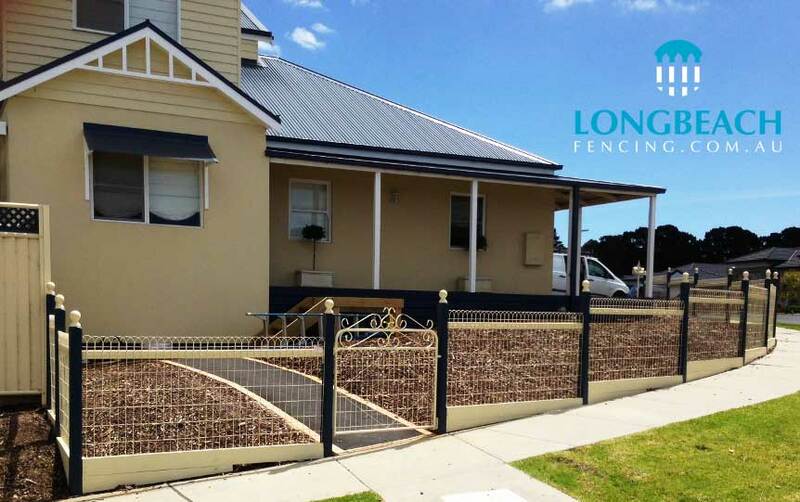 At Longbeach Fencing we are committed to assuring our customers peace of mind and security by offering a guarantee of 12 months against defected materials and workmanship on all constructed fencing, screens and other services. 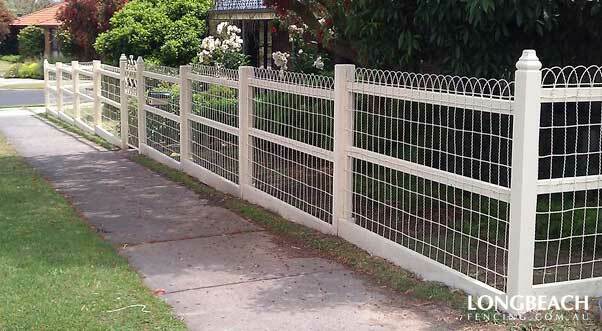 We currently offer fence contracting along Melbourne's beachside areas including Frankston, Aspendale, Bonbeach, Carrum, Carrum Downs, Chelsea, Edithvale, Patterson Lakes, Mordialloc, Mt Eliza, Mornington and many more. Please use our Service check form to check if we service your suburb. 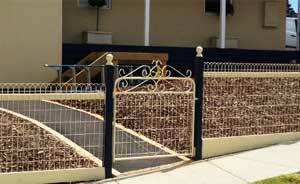 Primrose ornamental gate to suit homes of all architectural periods. Powder-coated primrose to match woven wire. Vertical pickets. Exposed posts with flat tops. 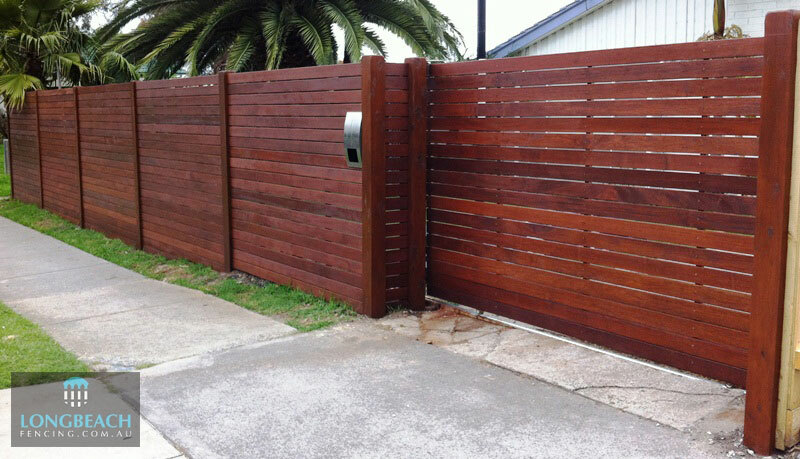 Merbau timber fence with exposed posts, fully installed with manual operated sliding gate, letterbox and staining. 90mm merbau timber with exposed posts and capping. 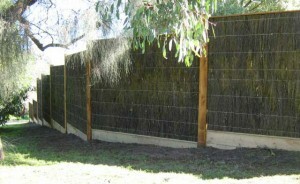 White birch stepped woven wire fence with exposed posts.